Organic/Garden Waste Removal Request – a convenience for small households and the elderly. Complete the form online, & Wholah! • Organic/Garden Waste Removal, which does not form part of your normal weekly municipal household waste service. • Organic/Garden waste to be collected will be contained in standard black/green bags. • The quantity will not exceed more than 1 - 6 bags per week, which normally fits a 240 litre municipal container. • Any container which I wish to purchase is optional and my responsibility and can be sourced on this website – ‘BINS’ or purchased from a local supplier. • I / We will give two weeks’ notice for discontinuance of the service and will be liable for a full fee before month end. • I / We will not place wet grass within a container without bag containment. b) the personnel is able to handle the weight. • The duty of the Service Provider is to collect regularly on a weekly basis and keep sufficient record for inspection by Estate Manager. • Spillage by the Contractor will be cleaned immediately. • I / We understand that we are contributing to the ‘GREEN CERTIFICATE’ issued by the Contractor to the advantage of the Estate. 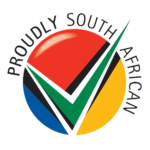 • The fee of R115.00 is payable to the Managing Agent for my / our levy collections thereby ensuring transparent record keeping.